On August 18th the Fusiliers marched out with the 1/2 King's African Rifles to attack Narunyu, about twenty miles south-west of Lindi. They moved north, then west, and then south, to take the position from the west. Near the hill overlooking Narunyu the King's African Rifles were heavily engaged, and the Fusiliers at once formed with them a hollow square. It was as well they had taken the precaution, for very soon they were attacked from all sides. In this confined position they fought for five days, with very little water, no cooked food and hardly any undisturbed rest. On the night of August 22nd they were ordered to retire, and did so under cover of darkness. This desperate, obscure little fight in 1917 in southern Tanganyika saw the last British Square in history. These Fusiliers were the remnant of the 25th Royal Fusiliers (City of London) (hereafter ‘25/RF’). 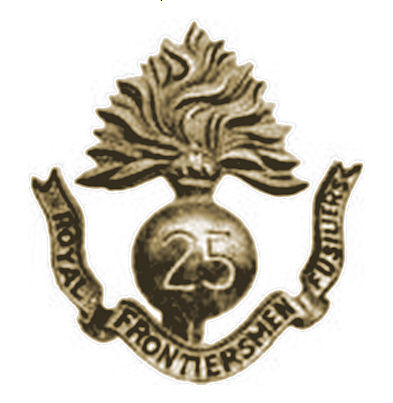 Officially called the "Frontiersmen" and familiarly "The Old and Bold," 25/RF was recruited by a group called the Legion of Frontiersmen (hereafter "Legion") for service in East Africa, and was one of the most unusual affinity-based units raised in the New Army. The Legion was founded in 1905 by Capt. H. Roger Pocock, a swashbuckler who had, amongst his experiences, chased outlaws with the Northwest Mounted Police (including Butch Cassidy), scouted as an irregular in the Boer War, and covered the Russo-Japanese War for a British newspaper. 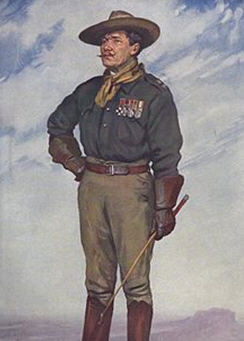 Pocock envisioned a field intelligence corps, which appealed to men who had engaged the Boer commandos in what is today called asymmetrical warfare, where a vital need is to find and keep track of the enemy. Pocock wanted war ministry recognition. Among his supporters were Admiral HRH Prince Louis of Battenberg, husband of a niece of Edward VII (also a grandfather of the present Duke of Edinburgh) and the coal mine heir the Earl of Lonsdale, a former Arctic explorer and senior officer in the Imperial Yeomanry during the Boer War. Pocock badgered Viscount Esher, who had chaired the 1904 army reform committee, until Esher insisted that he would have no further dealings with Pocock. He was replaced by Lt. Col. Daniel P. Driscoll, DSO, whose "Driscoll’s Scouts" had served with distinction in South Africa. Driscoll got along with Esher, but the Legion never got Crown recognition. As for Roger Pocock, he was commissioned in the Labour Corps in 1915, then talked his way into the RAF in 1918. In August 1914 Driscoll’s offer to deploy the Legion with the BEF as irregular scouts was denied. Nevertheless, in October about 30 members of the Legion’s "H" Troop (Manchester) attached themselves to the Belgian Army under the name "The British Colonial Horse." They fought with the 3rd Co. 3rd Lancers at the Yser Canal. In January 1915 Kitchener allowed the Legion to form 25/RF, with Driscoll as CO. The Legion’s London HQ teemed with volunteers, many past 40. One source described them as “a motley collection of seamen, soldiers of fortune, cowboys, explorers – many of these men with strange life stories and knowing the shadier sides of the law." Another said something similar: "including men of various ages and with strange experience from all quarters of the globe." Erskine Childers, the gun-running Irish Nationalist, ran recruiting for 25/RF at the London HQ during 1915–16. 25/RF was the only British unit sent out during the war without preliminary training. 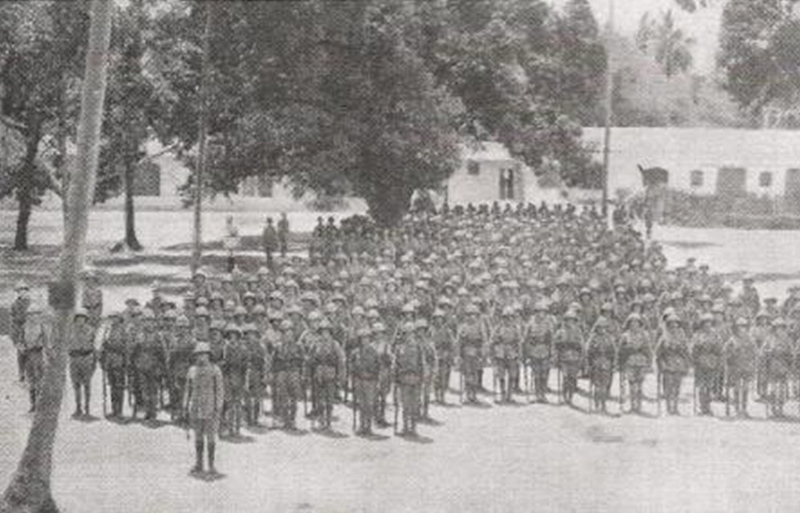 The battalion, 1,166 strong, reached Mombasa on 4 May 1915 and were sent to protect the Uganda railway from raids. From the outset their worst enemy was malaria. 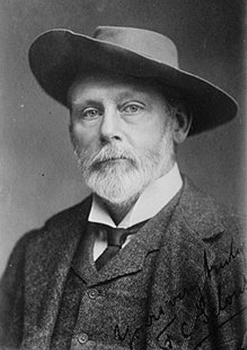 More men joined up in Africa, including the noted African explorer and safari guide Frederick C. Selous (namesake of the Selous Scouts, an elite Rhodesian unit in the 1970s). The 64-year-old Selous, a friend of both Theodore Roosevelt and Cecil Rhodes, was commissioned a lieutenant, likely the oldest junior officer in the line. On 3 September 1915, near Maktau, Kenya, during a mounted infantry engagement, the enemy were so close that it was impossible to get the more severely wounded away. 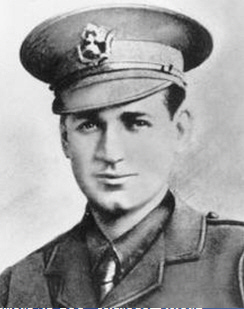 Lieutenant Dartnell, who was himself being carried away wounded in the leg, seeing the situation, and knowing that the enemy's [African] troops murdered the wounded, insisted on being left behind, in the hope of being able to save the lives of other wounded men. He gave his own life in a gallant attempt to save others. For the rest of 1915 25/RF covered the extension of the rail line from Maktau toward the German frontier. Two hundred fifty seven replacements arrived from South Africa in January 1916, and on 5 March 450 members of 25/RF joined General Stewart's column, moving around west of Kilimanjaro, chasing the Germans southward, constantly in action through to Handeni. At the site called Kahe they repelled a determined German counterattack. On 24 June 25/RF moved further south to Kwa Direma on the Lukigura River, where two companies stormed an enemy position with fixed bayonets and captured one of the 4.1” guns salvaged from SMS Koenigsberg. 25/RF were sent back to Makindu in Kenya where they received 150 replacements. 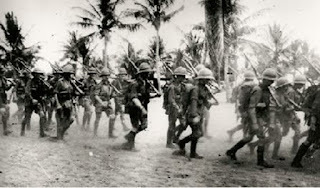 In August they were landed at Dar-es-Salaam, and were sent to join the attack on Morogoro, the last outpost on the German railway. Once again the number of fit men had dwindled to less than 200. He led a singularly adventurous and fascinating life, with just the right alternations between the wilderness and civilization. He helped spread the borders of his people's land. He added much to the sum of human knowledge and interest. He closed his life exactly as such a life ought to be closed, by dying in battle for his country while rendering her valiant and effective service. Who could wish a better life or a better death, or desire to leave a more honorable heritage to his family and his nation? Down to less than 100 men, 25/RF was withdrawn to the Cape where they received 384 replacements. Although by this time most of the Allied force was made up of Africans, in May 25/RF was sent back to Lindi for one stint in southern Tanganyika. They soldiered through that summer, at Ziwani, Tandamuti Hill, Narunyu, and in the Lukuledi Valley they covered the withdrawal. In October they fought their last battle at Nyangao. On 27 December 1917 the remaining ten officers and 225 men were withdrawn to England via the Cape. One history lists a roll of 1,983 served, 197 dead, and 38 missing. Thus about 1,483 were invalided out or dismissed. 25/RF was officially disbanded on 1 July 1918. Able-bodied men were transferred to other Fusilier battalions. Battle honors awarded to 25/RF were: Kilimanjaro, Behobeho, Nyangao, and East Africa 1915–17. The Legion had chapters in all of the Dominions, and Frontiersmen served in other units, notably the 210th Bn. CEF. The Legion still exists. A fascinating account, from the 18th-century echoes to Teddy Roosevelt's eulogy.